Find the best flag football adult leagues, pickup games and tournaments in the state of Florida. 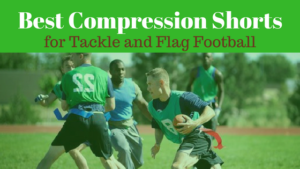 Below you’ll find the top up-to-date for 2019 list of fall, winter, spring and summer, indoor and outdoor local flag football leagues, pickup games and organizations that offer tournaments, organized from the highest to least populated cities and towns in FL. 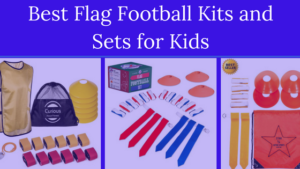 GotFlagFootball.com brings together the recreational and competitive local Florida flag football community of organized leagues, city recreational leagues and pickups in one list (in alphabetical order), so that it’s easy to find a game near you. Founded in 2006, The Jacksonville Adult Flag Football Meetup Group offers pickup flag football games on a weekly basis each Sunday for men and women over the age of 21. JAX Flag Football is an established league in Jacksonville, FL that offers competitive play for adults (and kids too). They also have a women’s only league. JAX also features electronic scoreboards, stat keeping and prizes for winners of each division. Club Sport was founded in 2001 and offers a large number of options for sports such as dodgeball, kickball as well as flag football. They feature several leagues in the Miami area. Both mens and co-ed leagues are available, typically all four season, year round. WAKA becan in 1998 as a multiple sport organization and has since begun to multiple co-ed flag football leagues in locations across the country, as well as in Jacksonville, FL. The style of play is more recreational and oriented towards meeting friends and enjoying being active, rather then competitive. Tampa Bay Club Sport flag football features mutiple seasons per year, with many options each week of both men’s and co-ed leagues throughout the Tampa, FL area. Team shirts, a custom webpage and an after season party are extra features of Club Sports. Tampa Bay Flag Football Association offers various levels of competitive play in flag football leagues in Tampa, FL. They track stats, offer prizes and trophies to league winners and even have a Hall of Fame. OSSC offers 3 nights of co-ed flag football leagues and four separate mens leagues in the fall, winter, spring and summer seasons in the Orlando, Florida area. 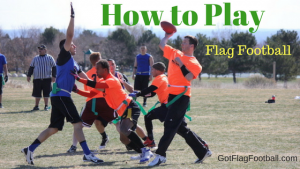 8CoEd offers year round leauges of co-ed flag football for men and women. They tout the best fields in the area, with lines and yard markers and pylons. Additonally, they offers sports like softball, soccer and kickball in the Orlando area. Playing by the Florida flag football league 7 on 7 rules, the City of St. Petersburg Parks and Rec department multiple night per week leagues of men’s and co-ed games, all year round. Adult flag football organized leagues are hosted by the City of Tallahassee. There are 3 divisions, an Upper, Middle and Lower division, so teams can choose which level of competition they’re most qualified to face. The Broward county parks and rec departments offers leagues with mutliple divisions per level of competitor. Free agent flag football players are eligble to signup and join a team. Leagues typically run during two seasons of the year, fall and spring. All41Sports offers many sports in Florida and specifically 4 v 4 and 7 on 7, several days each week in the Orlando area. They share highlight videos and pictures regularly.